As always, we keep improving the website and mobile applications. Here are our latest improvements. 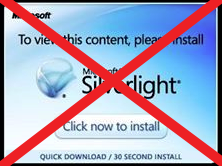 We have removed all dependencies on Silverlight. This means that we have new pages for Continuous Play, Stats Model Editor and Best of Patterns. These pages will be improved, but since Google Chrome ends support for Silverlight this month, we needed to get the pages out. Stats Model Editor - this page is used to set the fields used for rankings and the ones to display on the stats pages. There is a new Search by League Operator (Charter), which allows you to show all teams or players for a league operator or charter holder. You can also now click on a player or team that you follow in the Manage Notifications and it will bring you to the search page of that player or team. You can now send a message to everyone using the app that accessed the event. Or you can send a message to the devices that follows a specific team or player, in case you need to reach them. You can also see how many people are using the mobile app for your event. We have improved the speed of the Advanced Search, and you can also now search by League operator or Charter holder number or id. You can now select which fields you want to display, and you can also split a bracket in many columns with From/To different letters. You can now move the charts with the keyboard arrows, and zoom in and out with the + and - keys.